So I decided to bring my girlfriend to try out the new burger yesterday. 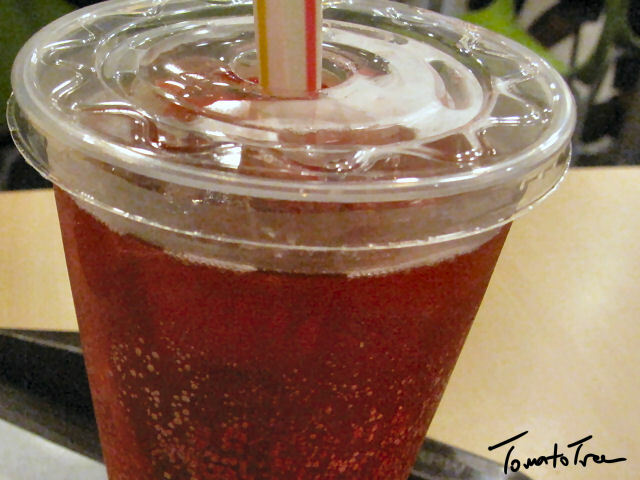 We went to the McD at Api-api Centre. 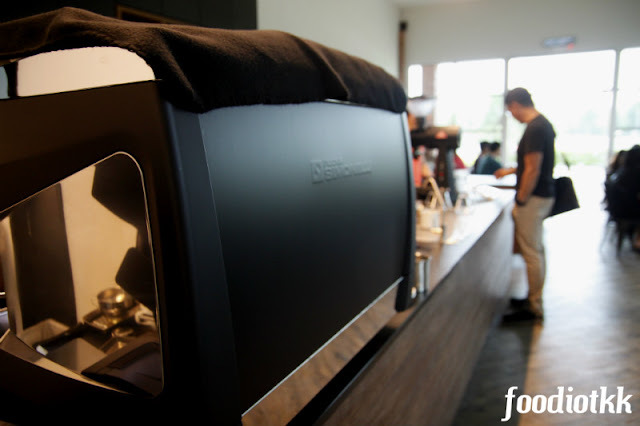 Every evening, especially during weekend this particular area in KK town always occupied by youngsters, "lepak-ing" (hang out) or just doing nothing. 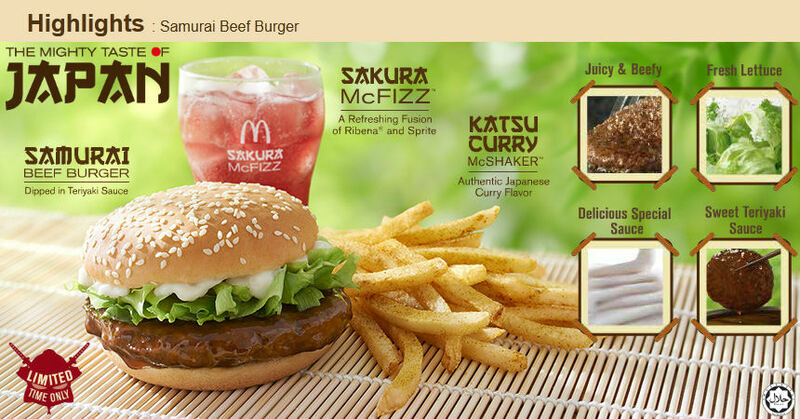 Considering Samurai Beef Burger is just newly launched, most of the people here in the restaurant was ordering this new burger. I ordered 1 Large Samurai Beef Burger Meal with the limited edition Sakura McFizz (RM12.45) for myself, and an à la carte Samurai Beef Burger (RM8.65). 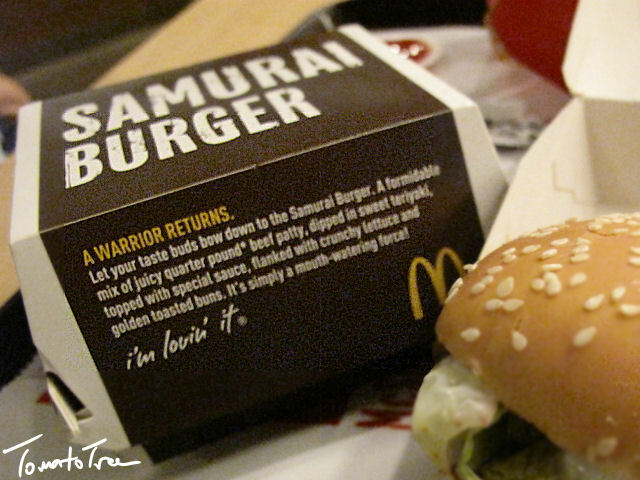 nor the sauce made by a Samurai, which is scary if they really do. Ribena and Sprite, but there is no Ribena taste. Katsu Curry McShaker Fries, taste like our Childhood snack Twisties. 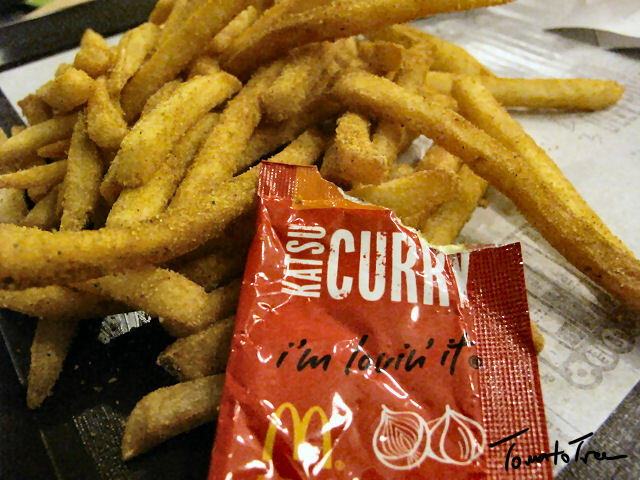 "Potato Katsu Curry McShakers", HAHA!!! 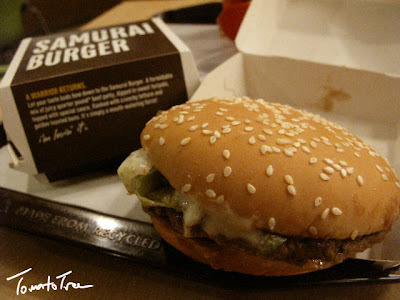 Conclusion: The beef patty was well cooked and flavored in sweet teriyaki (a kind of Japanese soy sauce), however the portion is too small. Considering the price (RM8.65) I can simply get a Double Cheese Burger (RM7.65) or a QuarterPounder (RM8.45). I can even get them during McValue Lunch or Dinner, its much cheaper, which is not available for the Samurai's version. 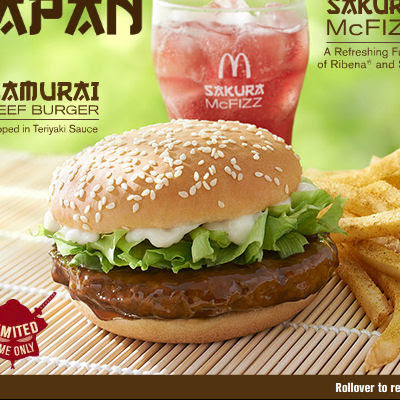 Not really worth the value for that additional of teriyaki sauce but good to just try out if you are a fans of burger because its just for a limited time only!